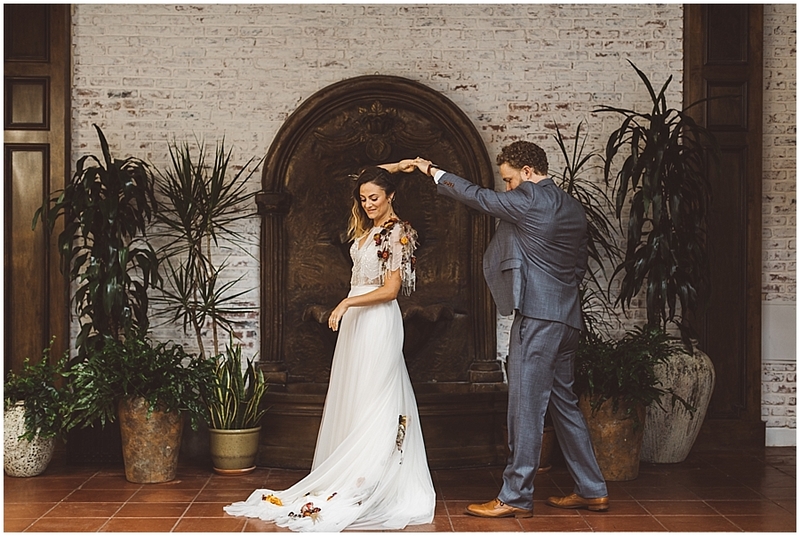 For the MARTHA STEWART WEDDINGS feature of this amazing wedding, click HERE! So, I guess it might go without saying that this wedding was one I'll never forget. Not simply because of the extremely humbling and bucket-list-checking aspect of having Martha Fricken Stewart feature it in print and online, but mostly because there were just so elements to the day that made it a dream. 1. The couple...duh! Lori used to work with my wife Amber at an interior design firm and she was always the most fun, sweet, and hilarious person to be around. Her now husband John is equally as kind, down to earth, and genuine so they fit together just right. Oh and they FULLY trusted their vendors to do their thing which is such a gift. 2. 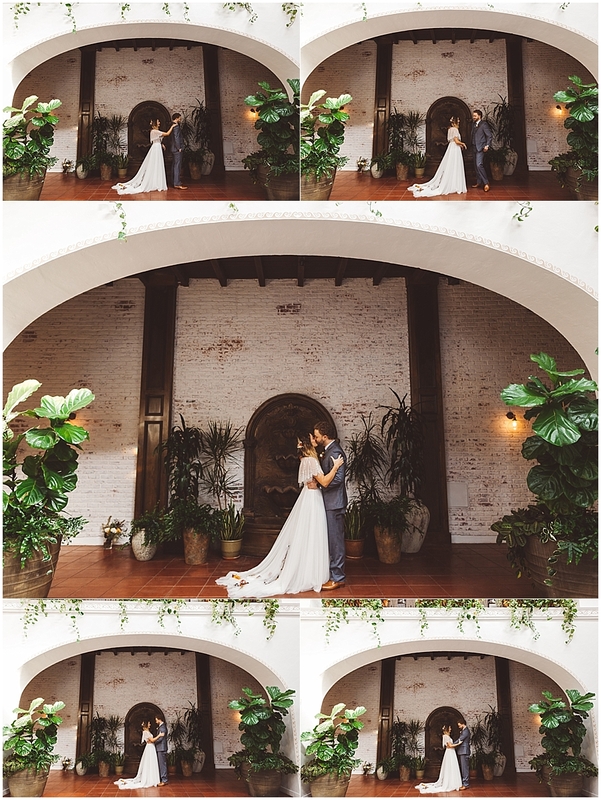 The venue...the Ebell in Long Beach is such a epic spot for creating a boldly designed wedding. 3. The vendors...between Rebecca from Wylie West Creative crushing the design it with gold, black, and deep purples in addition to hand dyed napkins and an unbelievable invite suite, the ladies from Petals & Pop pinning live flowers into the brides cape and train and arranging unbelievably moody and eclectic centerpieces, and lastly but certainly not least The Love Riot planning and installing and running the day's tight timeline with ease and perfection! These are just a few of the many reasons this wedding rocked, but let's get to the photos cause that's what you are all here to see anyways, right? Cheers!